You just put the bandana on initially on with the leash 'unslipped'/straightened out, then loop back through to get your noose back, and you're good to go. They're staying opened unless you PULL that sucker straight to remove the bandana. As a bonus they are MUCH more visible on the ground, in grass or dirt, both to the leash runner and to me at the end of a run (I like mine on the ground for one of mine). This rig sounds awesome. Can you post a close-up picture, so that I can confirm what I'm picturing is reality? 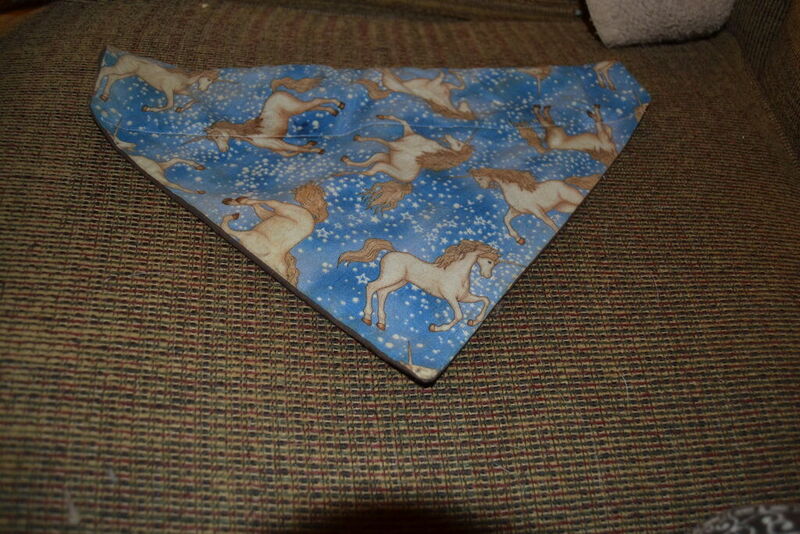 a) fold square bandana into triangle (or maybe 2 triangle depending on bandana size), and sew some of the 2 short edges of the triangle. 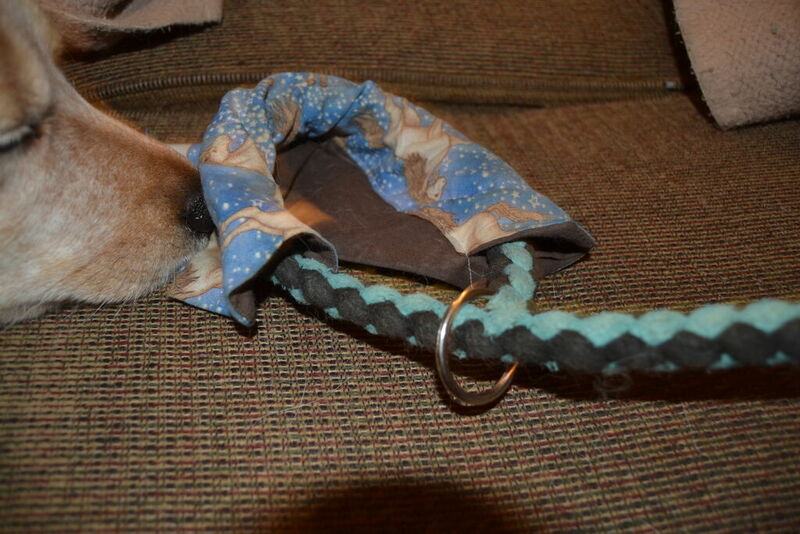 b) undo/unthread your slip lead, feed it through the created bandana tunnel, and redo/rethread slip lead. 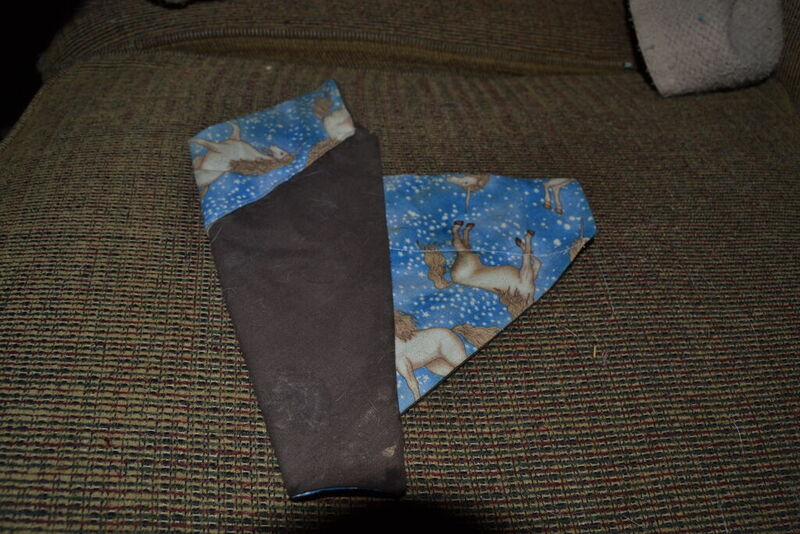 Or alternatively for slip leads that can't come loose because of say a leather joint for the handle or slip stop, fold square bandana into a triangle wrapping it over a fully opened loop of a slip lead, and sew the 2 short edges of the triangle mostly shut, thereby trapping the leash in the bandana and preventing the slip leash from completely closing. What you're describing would work and work well - particularly for the slip leashes that don't come undone! Your description of carefully feeding through is right, too. 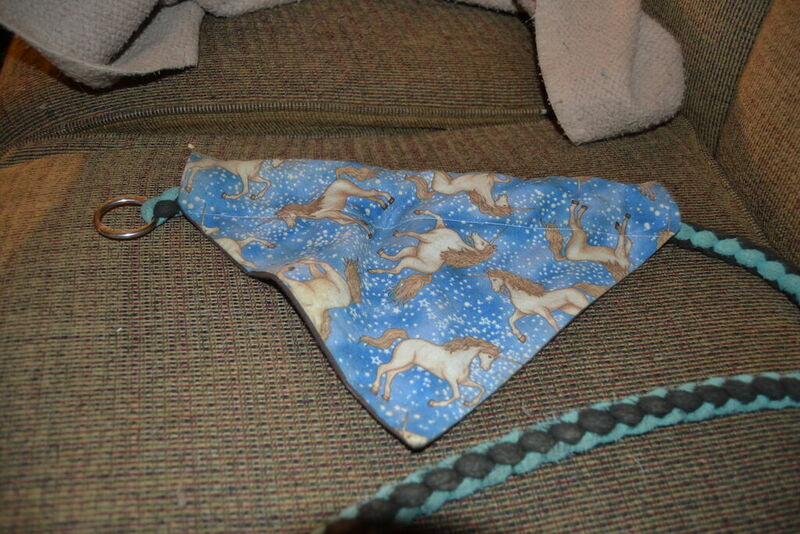 I just use premade 'over the collar' bandanas ( like this: https://www.etsy.com/listing/640231950/nc-state-over-the-collar-dog-bandana ) like this - only less fancy so they cost about 3.00 -5.00 depending on size (Need medium/large to get the ring of most slip leads through, narrow ones do fine in any size). They'd be super easy to make, though, for sure, especially with a machine. Excuse the dog nose. He really wanted to know what was going on with his leash.